Washing machines need a regular deep clean to keep them working at their best. Ecoegg’s Detox Tablets give your washing machine a deep-down clean–even in the areas you can't see. They remove limescale and soap scum from all the nooks and crannies. I really like that this gadget is working for me. I love the idea of using less sudsy soap my clothes smell and look terrific. Glad I tried it. 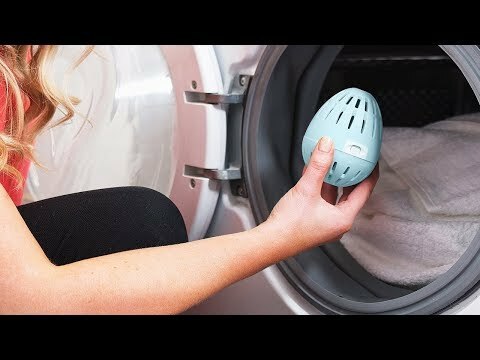 Simple way to clean my washer! No mess, no fuss--just a nice, clean washer!! !